North Carolina Waterfowl Hunting at it's finest! We are committed to providing you the hunt of a lifetime. Half Day Hunt: $400 from 1/2 hour before sunrise until 12:00 noon. Full Day Hunt: $700 from 1/2 hour before sunrise until sunset. 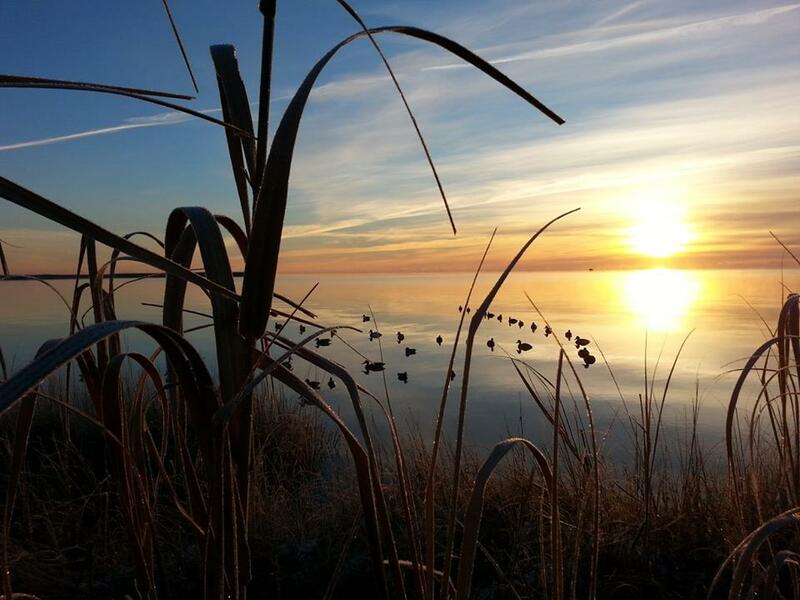 Hyde county and Dare county: Ducks abound in the pristine nutrient rich waters of the Pamlico Sound. Hunter's can expect to see thousands of ducks as they pass from their roosting areas to daytime feeding sites. We are dedicated to placing you in the best possible area to get ducks over decoys. Redheads, Bluebills, Sea ducks, Canvasbacks, Widgeons, Teal, Gadwall, Pintails, Bufflehead, Black ducks, Wood ducks and Merganzers are on the hit list.